A magnificent light-filled glass and iron structure, originally built as a flower market and now home to a restaurant and champagne bar, as well as performances and other events. 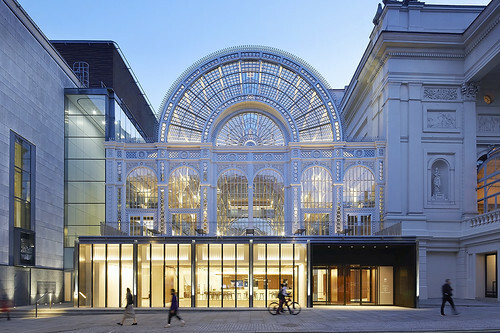 The Paul Hamlyn Hall, formerly known as Floral Hall, was designed by E.M. Barry, architect of the 1858 rebuilding of the Royal Opera House. It was built shortly after the Royal Opera House was finished, though its intended much larger scale was never fully realized. The Floral Hall was originally built to house an exotic flower, fruit and vegetable market, to provide income for the Opera House. The enterprise was opposed for several years, with the Hall used as a concert hall and, on occasion, an ice rink. Finally in 1887 it became part of the Covent Garden market. 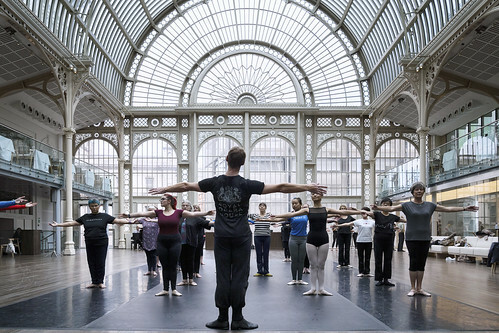 After a fire destroyed the roof in 1956, the building lay nearly derelict until it was acquired by the Royal Opera House in 1977. 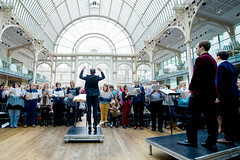 It was used to store scenery until the 1997–9 redevelopment of the Royal Opera House opened it up as a unique public area. The redevelopment incorporated the Floral Hall into the rest of the building complex. In the course of the redevelopment the entire structure was lifted to allow space for the box office and extended cloakroom area below. 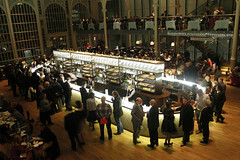 It now houses a champagne bar and restaurant for patrons during performance intervals, and in the daytime is home of Tea at the Royal Opera House. It can also act as an unusual and immersive performance space. 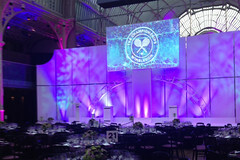 The hall was renamed the Paul Hamlyn Hall in 2007, in recognition of generous financial support from the Paul Hamlyn Foundation. Christmas trees, Russian opera and sparkling secret messages. 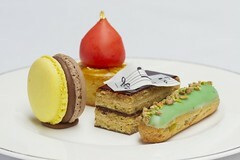 Pastry chef Claire Clark reveals a menu offering spectacular new pastries and traditional favourites, as well as champagne and cocktail options. 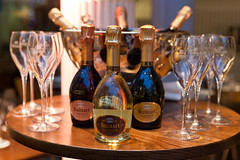 Celebrate the most glamorous night of the year with dinner, live music from a big band and dancing. Insights: Discover the Ring — What's it all about?